Boss nyeste flaggskip innen forsterker- og -effektprosessor! 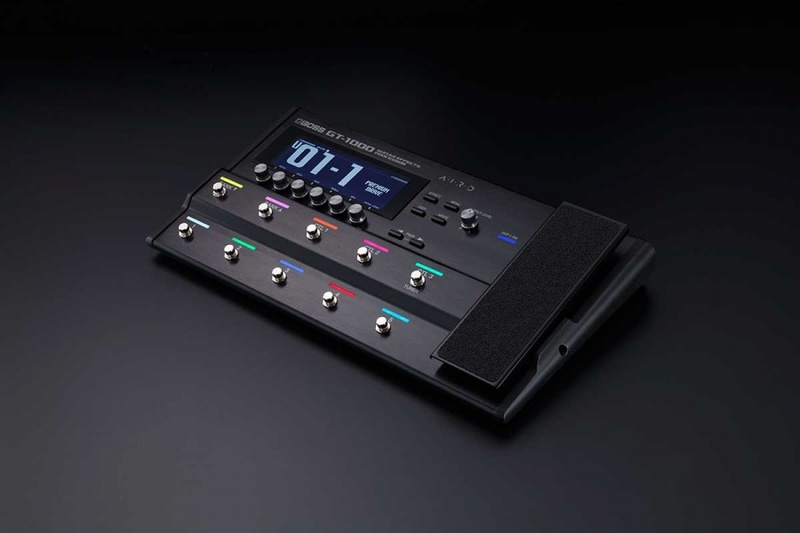 GT-1000 brings unparalleled musical response and flexibility to a digital guitar processor. AIRD amplifiers live and breathe like real tube amps, providing inspiring feel and authentic tonal dynamics that were previously unattainable. And with sophisticated AIRD Output Select functionality, you’re able to consistently achieve this amazing sound with any setup, from standard guitar amps to direct recording and full-range stage monitoring applications. 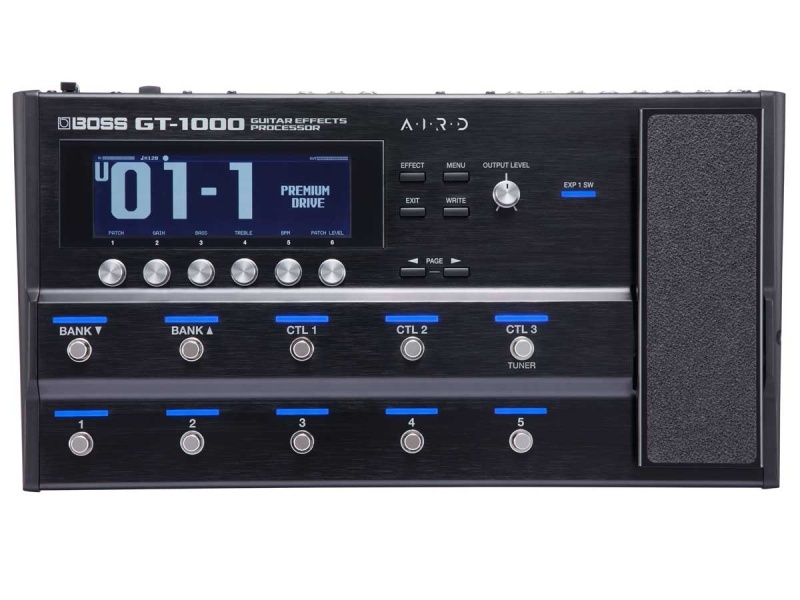 In today’s music world, players need to travel as light as possible, and BOSS designed the GT-1000 for maximum control in a minimum amount of space. In comparison to other processors in its class, it offers a compact, streamlined design that’s easy to carry and set up. 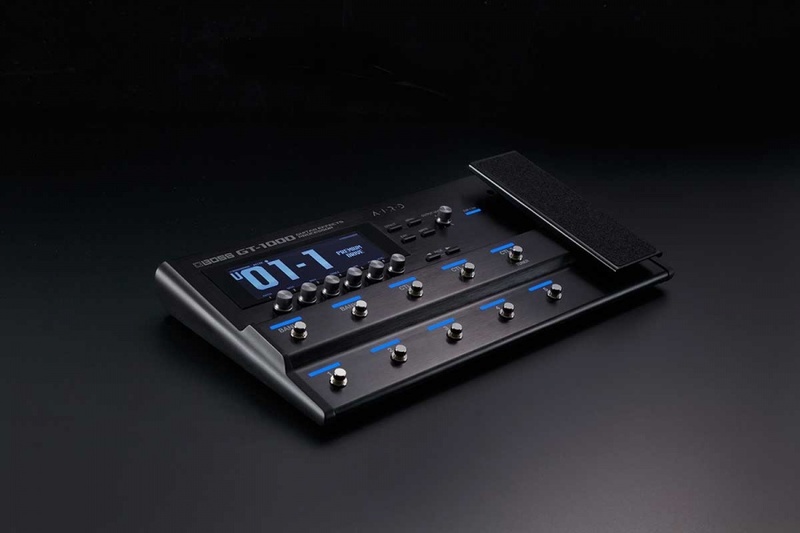 The metal chassis is both strong and light, and features an array of freely assignable footswitches and an integrated expression pedal. Newly developed specifically for the GT-1000, the low-profile footswitches reduce size and weight while maintaining the rugged durability that all BOSS gear is famous for. 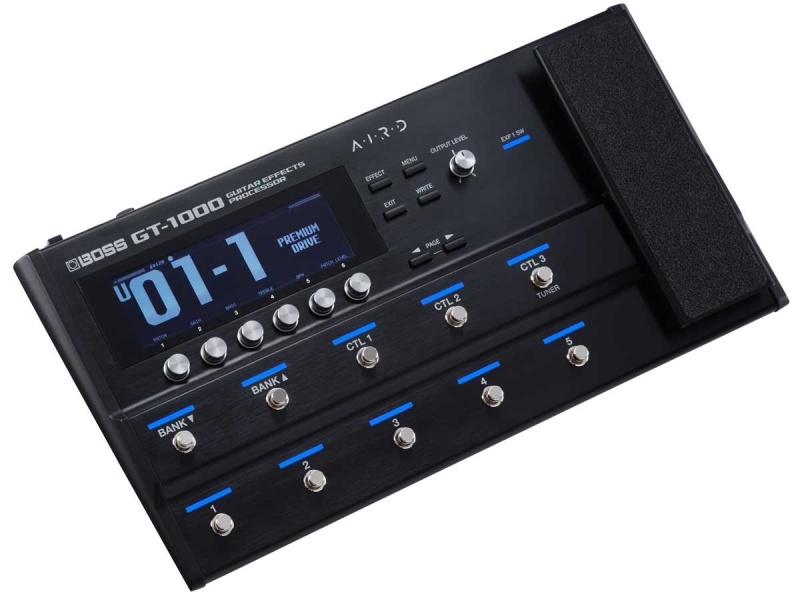 With its ten footswitches and expression pedal with toe switch, the GT-1000 gives you comprehensive creative control on stage and in the studio. And if you’re a power user, there’s support for additional control via external switches, pedals, MIDI, and USB. By default, the main footswitches are assigned to select patches, patch banks, and three control assignments. If you like, you can reassign the switches to control nearly any function, including effects on/off, tap tempo, parameter adjustment, system settings, and more. 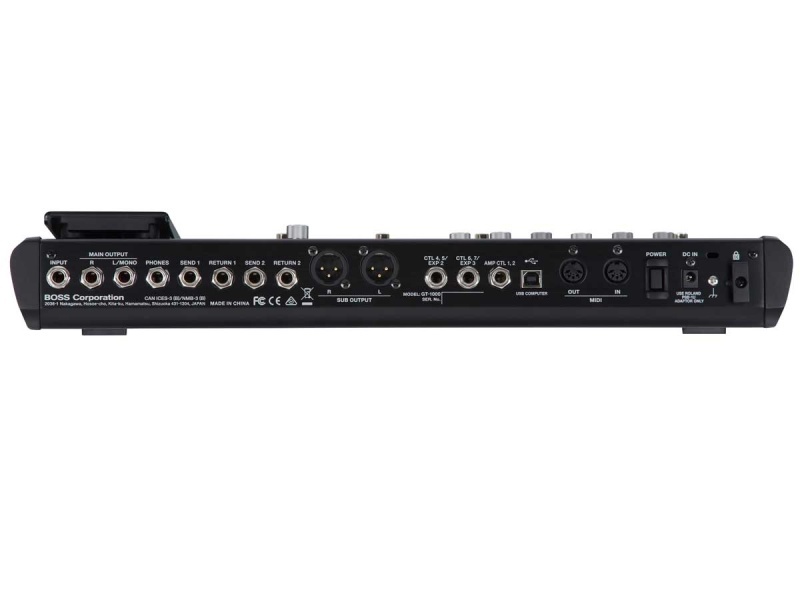 the GT-1000’s switching knobs and powerful Assign Matrix, control assignments are quick and intuitive. It’s also possible to assign different colors to the status LEDs above the switches, and easily view the current switch assignments with a Play screen option.